Asus has launched the ZenFone 5, which can be said to be a low-priced version of the iPhone X running on Android. Even the Chinese company is not denying its striking similarity to Apple’s flagship. 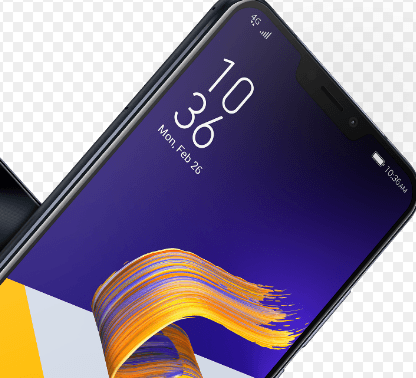 Asus’ ZenFone 5 is available in three different price points: $500 “premium” ZenFone 5Z, the standard version, and an entry-level ZenFone 5Q (also known as ZenFone 5 Lite). Prices of the other two versions are still not announced. Features are in line with the industry trend, including dual-rear cameras with a 2 x zoom, face unlock, powerful stereo speaker and popular AI features like “AI” charging and an “AI” display with a 90% screen-to-body ratio. However, some of Asus’ claims regarding ZenFone 5’s camera and AI features seem extraneous. During the press briefing, Asus mentioned that the dual 12-megapixel rear cameras were flagship class. Although it comes with Sony’s IMX 363 sensor, the camera hosts max aperture of f/1.8 which is more or less the same as what LG released last year on the G6 and half a stop slower than the f/1.5 sensor on the new Galaxy S9, according to Gizmodo. The smartphone – as claimed by Asus – has smart adjustments for color temperature, something similar to the iPhone X. It also houses a sensor to keep the screen illuminated while the user is looking at it. All these features are not new, and are present on other smartphones. All three handsets come with the company’s “BoostMaster” fast charging technology. Further, it has AI charging as well, which would track the user’s charging habits and adjust accordingly. The phones have a dual SIM slot while connectivity options include dual 4G VoLTE support, NFC Google Play and Wi-Fi. There is the face unlocking feature along with a rear fingerprint sensor. If the claims of the company are to be believed, then the phone can be unlocked in 0.1 seconds using face unlock and 0.3 seconds with the fingerprint sensor. The Asus ZenFone 5 sports 6.2-inch edge-to-edge display, and is powered by the Snapdragon 845 SoC. The standard variant is similar to the premium one in design, but has mid-tier specifications. The Entry-level variant is smaller and comes with a 6-inch full HD+ (1080×2160 pixels) IPS display, and an 80.3% screen-to-body ratio. Reportedly, the smartphone would either be powered by Snapdragon 430 octa-core SoC or Snapdragon 630 SoC with Adreno 505 GPU. The phones run Android 8.0 Oreo with the company’s ZenUI 5.0 skin and have a battery capacity of 3300mAh. Given the Android platform, one might think that the ZenFone 5 would compete with the handsets released during the Mobile World Congress (MWC) such as the Galaxy S9 and Sony Xperia XZ2. Though it is true, it is also possible that the Asus handset wants to take on the iPhone X given its higher screen-to-body ratio, better styling and presence of the headphone jack, notes Gizmodo.